The ADAM CPAP Mask System provides a unique, comfortable solution for CPAP therapy. 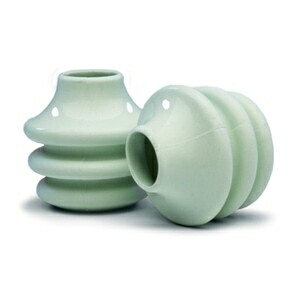 The ADAM uses nasal pillows that overcome many of the drawbacks and problems associated with standard nasal masks. The ADAM's nasal pillows seal directly at the nostrils. This avoids the claustrophobic sensation of a mask, virtually eliminates air leaks that can irritate the eyes, and relieves soreness on the bridge of the nose. Plus, the ADAM system is effective even if you have a mustache or beard and can be worn with glasses! 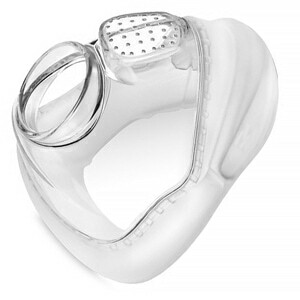 The headgear for the ADAM CPAP Mask comes complete with velcro fasteners which permit maximum versatility in fitting and adjusting headgear. In the Package ADAM Circuit Nasal Pillows Mask Pack with 1 Pair of Pillows and Adjustable Headgear. I relied heavily on my PB DreamGear Nasal Pillow interface for decades until they discontinued it. I couldn't find a comparable replacement UNTIL this one. It's cumbersome to put together but once you do, its almost the same as the DreamGear. Finally, I found a perfectly usable emergency mask. The turn about from order to delivery was outstanding considering it was during the Christmas season. The mask was simple in design but very effective and quite easy to adapt to wearing. I was very pleased with my overall experience! Always great prices and great service and great products. So far it is a fine replacement for the last kit I got through my HMO. No complaints and it works as it should. This kit, through my HMO, would have cost me an additional $90+. Good thing I discovered alternative means to getting my cpap supplies. Thank you. I expected it to be better then what I received. Also It takes a lot to get it adjusted. As far as construction, It is Ok. But Opus 360 seems better. The mask and headgear were of acceptable quality and the price was in line with other providers. Delivery was prompt. The instructions included seem to think that the parts come more assembled than they do. It took about 15 minutes to put together the first time. The pictures on this site were more useful than the line art in the instructions. I hope the spare parts I have left over are intended to be spares. Also the instructions mention parts (all pillow sizes, chin strap) that are not in the package. The product listing is correct. I expected the tube to be held more firmly in the headgear. I don't know why. If it isn't obvious, nothing stops the tube and thus the interface from moving up and down until the side straps are attached. 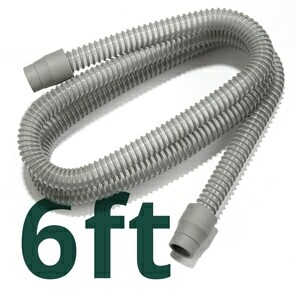 I haven't had it long enough, nor am I a sufficiently experienced CPAP user, to say whether it's durable or high quality. Seems good after a week. I used to get my adam circuit headgear from another co that went out of business. I like the adam circuit so decided to try this companies version. So far it seems to work just fine. Has more velcro pads that other one. The strap across the nose piece used to wear out and only got one of them. I got one size and sometimes it seems too small with chin strap but maybe it will stretch out. I have tried several other nasal masks, and this is the only one that fits and does not move around. Unfortunately, this headgear is not very sturdy. I usually make many modifications and repairs. I was told by my local supply store in Ontario Canada that this was no longer made or available. So grateful you folks have the insight to carry them and at an affordable price. Also, appreciate very much your willingness to ship out of the USA to me in Canada. Great service and nice folks to talk to. The best c-pap headgear that I ever used was made by Carefore. I've had the unit I purchased from you before. It is less comfortable and didn't hold up very well. In time, with use, It fell apart. The picture on your website looked like it was better quality. I ordered the Adams Cap on the recommendation of my brother because I am a brand new c-pap user. He has been using one for about 15 years and has tried all kinds. In my sleep test at the hospital I was fitted with a full face mask and found it very intrusive and I would probably not use it as I should but the Adams Cap system is comfortable, less intrusive and works very well. I will recommend it to others. Also I ordered it and it arrived in two days! The service is great! Thank Goodness you have my mask! I have been using the Adam CPAP mask for many years but in February I was told it was no longer available at my home care provider. I thought it had been discontinued. For 4 months I have hardly slept because the new mask wouldn't stay sealed. I finally googled the mask & found I could get it from you. It came right away and I've been so grateful to sleep again. Thank You!!!!! I've been on cpap since 89. Used all kinds of masks BUT, NONE ever felt more natural than the ADAM circuit. Now days they have these new ones with PRE-SET angles. My nostrils are at about 10 degrees, NOT 60. On the ADAM circuit I sleep thru the night, almost every night. Without the ADAM circuit I will probibly die due to sleep apnea. All items were as advertised. Super fast shipping. Extremely competitve pricing. I couldn't be happier! Thanks Direct Home Medical. You're the greatest! I've been a bit disappointed with this mask. The headgear is reasonably comfortable, though occasionally the side Velcro puts pressure on my temples. The assembly instructions were rather confusing and there are no cleaning instructions. I was also disappointed that it didn't include multiple sizes of nasal pillows, though I believe I chose the right size. The worst problem with this mask is the vent hole. It's very noisy, and I've tried several methods to quiet it down with little success. I hadn't tried the nasal pillows before, always have used a full face gear with limited success. When I first got the Adam I wasn't too sure, seemed a little cheaply constructed with lots of Velcro holding everything together. The first few nights it didn't seem to work well, but after that I made adjustments and since have gotten the best sleep in a very long time with it! I would have given it 5 stars had it been built of higher quality materials and had a better design head strap system, but all and all considering its lower price would definitely recommend this, especially if you are on a budget. I find this style to be less intrusive all night. Since I am bearded typical masks do not seal. I have had to experiment with many manufacturer's designs. Puritain Bennet won. 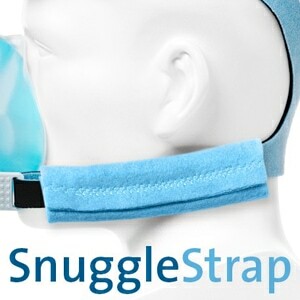 BEST CPAP MASK OUT THERE! I've been getting this mask for along time now and it's very comfortable and I can sleep on stomach, back, or either side without any complications. As well,I don't have a plastic mask jammed into my face if I want to sleep in any position. I also don't feel chlostrophic by having something over half my face. The straps hold all the pieces in place so there's a tight seal, so you don't end up fighting with it all night to keep the seal tight. I REALLY GET TIRED OF SALES PEOPLE WANTING ME TO BUY A MORE EXPENSIVE, UNCOMFORTABLE MASK AND I REALLY HOPE THIS ONE NEVER GETS DISCONTINUED CAUSE I'D LOSE HOPE IN ALL THIS STUFF AND PROBABLY STOP WEARING ONE ALTOGETHER IF IT'S ONLY GOING TO BE UNCOMFORTABLE AND COST A FORTUNE! PLEASE KEEP MAKING THIS MASK.........IT TRULY IS THE BEST BECAUSE IT'S SIMPLE AND DOES THE JOB!! IT'S TRULY GOT THE BEST DESIGN FOR A COMFORTABLE, GREAT NIGHT'S SLEEP! 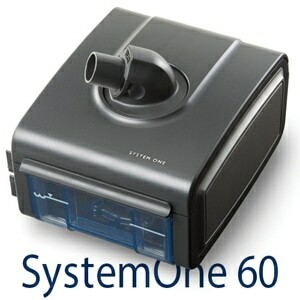 I have used this system for 18 years plus. The only problem I have is #1 Discontinuing Chin Strap & #2 People trying to get me to try, which I have, something new which doesn't work with my face . Please, at 73, don't discontinue the ADAM System . Out of ALL systems I've tried , This for me is the BEST system. I have been using this style of headgear for yrs and find it to be the best there is. Please, by no means is this a negative review. I have only used this product for five days. With each new device it takes time to adjust. I think it will be a five star rating in a few more weeks. Thanks for a fast delivery.